In this video, Dr. Huntoon discusses the 4 Causes of ALL Health Concerns and what you need to consider with regards to your health and the health of your child(ren). If you would like Dr. Huntoon to help you with your child's health, we are hear to have a consultation and examination to discover what can be done to improve your child's health. Autism is a Pervasive developmental disorder. Along with a group of other disorders are described as Autistic spectrum disorder. Autism is a developmental disorder that appears in the first 3 years of life, and affects the brain's normal development of social and communication skills. 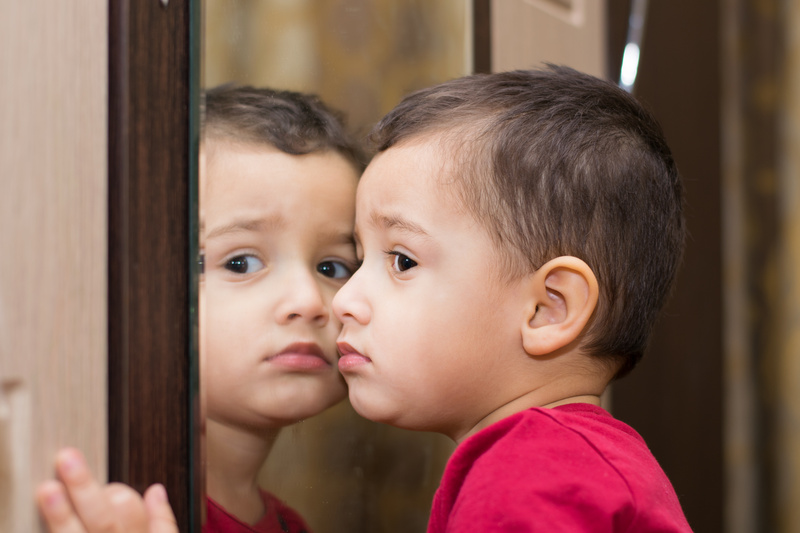 Some children with autism appear normal before age 1 or 2 and then suddenly "regress" and lose language or social skills they had previously gained. This is called the regressive type of autism. Autism is a physical condition linked to abnormal biology and chemistry in the brain. The exact causes of these abnormalities remain unknown, but this is a very active area of research. Current research suggests there are probably a combination of factors that lead to Autistic spectrum disorder. Many parents are worried that some vaccines are not safe and may harm their baby or young child. They may ask their doctor or nurse to wait, or even refuse to have the vaccine. However, it is important to also think about the risks of not having the vaccination. Some people believe that the small amount of mercury (called thimerosal) that is a common preservative in multidose vaccines causes autism or ADHD. However, studies are inconclusive at this time, depending on which camp you speak to. Since the CDC makes money off distributing vaccines and the National Vaccine Injury Compensation Program is a program that is established for paying families injured by vaccination, does it not seem hypocritical for the government to force vaccinations, claim there is not relationship between vaccines and conditions like Autism, and yet still have a National Vaccine Injury Compensation Program? The American Academy of Pediatrics, and The Institute of Medicine (IOM) agree that no vaccine or component of any vaccine is responsible for the number of children who are currently being diagnosed with autism. There is no scientific way to confirm this belief and yet it is the one position they agree on as the authority. They also conclude that the benefits of vaccines outweigh the risks. However, when challenged, they are not willing to take responsibility if an adverse event takes place in your child as a result of the vaccination. In fact, the current law on vaccinations is the manufacturer, the doctors and the nurses who administer the vaccine are not held responsible if an adverse event takes place as a result of the vaccine. Strongly consider this before vaccinating your child. All of the routine childhood vaccines are available in single-dose forms that do not contain added mercury. Ask for this when vaccinating your child and do not let them talk you into or pressure your into doing the multi-vaccine as a single visit. The Centers for Disease Control and Prevention website provides further information. The exact number of children with autism is not known. A report released by the U.S. Centers for Disease Control and Prevention (CDC) suggests that autism and related disorders are more common than previously thought. It is unclear whether this is due to an increasing rate of the illness or an increased ability to diagnose the illness. We do know that the statistical information showed it was found to affect 1 in 6000 children before the recommended increase in the number of vaccines received by children. In the mid 1980's they went to 34 different vaccines before age 5 and the numbers went from 1 in 6000 to 1 in 600 by 1995 to the current rate of 1 in 50 in 2014. Obviously this is getting worse, and yet the government and pharmaceutical industry claim to have no relationship between the number of vaccines and the increase rise of this devastating disease. Autism affects boys more often than girls. Family income, education, and lifestyle do not seem to affect the risk of autism. Some doctors believe the increased incidence in autism is due to newer definitions of autism. The term "autism" now includes a wider spectrum of children. For example, a child who is diagnosed with high-functioning autism today may have been thought to simply be odd or strange 30 years ago. ABA programs are usually done in a child's home under the supervision of a behavioral psychologist. These programs can be very expensive and have not been widely adopted by school systems. Parents often must seek funding and staffing from other sources, which can be hard to find in many communities. Another program is called the Treatment and Education of Autistic and Related Communication Handicapped Children (TEACCH). TEACCH was developed as a statewide program in North Carolina. It uses picture schedules and other visual cues that help the child work independently and organize and structure their environments. Though TEACCH tries to improve a child's adaptation and skills, it also accepts the problems associated with autism spectrum disorders. Unlike ABA programs, TEACCH programs do not expect children to achieve typical development with treatment. Currently, only risperidone is approved to treat children ages 5 - 16 for the irritability and aggression that can occur with autism. Other medicines that may also be used include SSRIs, divalproex sodium and other mood stabilizers, and possibly stimulants such as methylphenidate. There is no medicine that treats the underlying problem of autism. Some children with autism appear to respond very well to a gluten free and/or casein-free diet. Gluten is found in foods containing wheat, rye, and barley. Casein is found in milk, cheese, and other dairy products. Not all experts agree that dietary changes will make a difference, and not all studies of this method have shown positive results. If you are considering these or other dietary changes, talk to both a doctor who specializes in the digestive system (gastroenterologist), your Holisitc Chiropractor or a registered dietitian. You want to be sure that the child is still receiving enough calories, nutrients, and a balanced diet. Beware that there are widely publicized treatments for autism that do not have scientific support, and reports of "miracle cures" that do not live up to expectations. If your child has autism, it may be helpful to talk with other parents of children with autism and autism specialists. Follow the progress of research in this area, which is rapidly developing. At one time, there was enormous excitement about using secretin infusions. Now, after many studies have been conducted in many laboratories, it's possible that secretin is not effective after all. However, research continues. Dr. Huntoon has experience in treating and supporting a child with this diagnosis. Having worked with and assisted his two nephews who have been placed on the Autism Spectrum assimilate and thrive in the public school system has proven to be quite beneficial. Assisting his brother and sister-in-law in finding support and non-traditional treatment has proven to be effective. Consider talking with Dr. Huntoon about this if you are at a loss as to what to do for your child who has been given this challenging diagnosis. He will offer you resources to support you and your family. Working with a Holistic Chiropractor who is well versed in autism is important. Working in conjunction with your medical doctor, your Holistic Chiropractor can help you develop a well-rounded, multifaceted approach to addressing all the components associated with your child. Help developing a proper diet specific for your child’s needs is vital when supporting your child to get well. Although autism is different for every child, working with a Holistic Chiropractor who is well versed in autism is important. Working in conjunction with your medical doctor, your Holistic Chiropractor can help you develop a well-rounded, multifaceted approach to addressing all the components associated with your child. Help developing a proper diet specific for your child’s needs is vital when supporting your child to get well. Some people with autism will develop seizures. The stresses of dealing with autism can lead to social and emotional complications for family and caregivers, as well as the person with autism. Parents usually suspect that there is a developmental problem long before a diagnosis is made. Call your health care provider with any concerns about autism or if you think that your child is not developing normally. The underlying cause of Autistic Spectrum Disorders is still being studied. Currently there are no environmental factors that have been shown to directly cause autism. The vaccine connection is still heatedly debated, and the agencies making a profit off of these vaccines continue to claim there is no connection even though some of the adjuvants used in vaccines are known neurotoxins and cause nerve damage when administered. Research information at NVIC.org to hear both sides of the story before making an informed decision about vaccinating your child. Do the research and don't give into peer or medical pressure. During pregnancy it is vital to eat a proper diet, minimize exposure to air pollution and other toxic chemicals, and be careful what medications you take. If you are pregnant, or thinking of getting pregnant you should review your medications with your doctor to avoid any side effects.